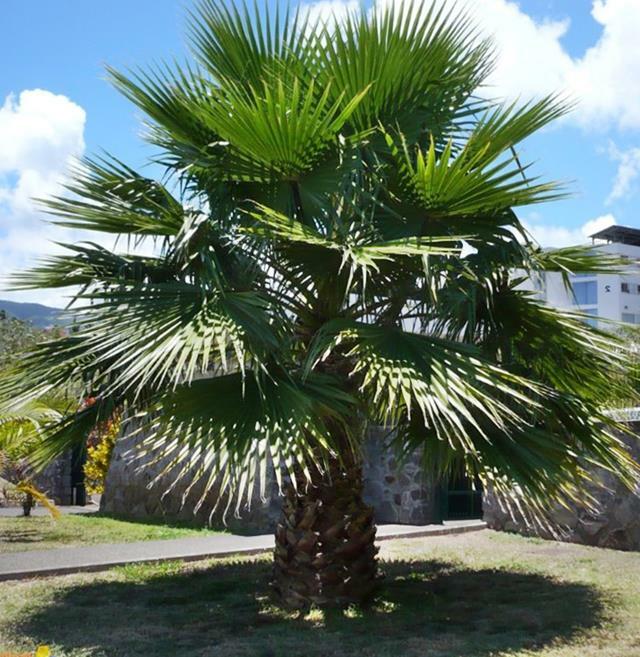 The Washingtonia is comprised of two closely-related species, Washingtonia filifera and Washingtonia robusta, native to Mexico and the southern states of mainland USA. They are desert fan palms occurring in oasis situations where they have access to underground water. These palms are found along streams and canyons and is a tall, solitary palm that can be distinguished easily from each other by the size of the trunk. 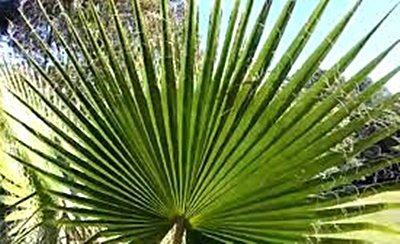 The Washingtonia or majesty palms have stiff fan leaves which tend to persist after they die and form a dense fibrous “petticoat “under the crown, sometimes covering the trunk entirely. Leaves are costapalmate, divided into many stiff segments, each pointed, drooping and split into two lobes at the tip. White thread-like fibres hang from between the segments. The leaf sheaths have a conspicuous cleft below the petiole and the sheath margins break down and become fibrous. Petioles are stout with sharp teeth along the margins. Flowers are pale-pink, fruit spherical. The fruit is edible and was used by Native American people as a minor food source. 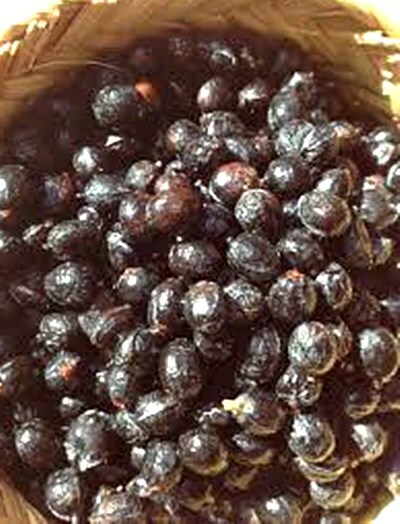 The fruit are also eaten by birds which disperse the seeds in their droppings after digesting the fruit pulp. The Washingtonia robusta (Mexican fan palm, Waaier palm, Cotton palm) is grown as an ornamental tree.